HomeHua HinBeach & Seafood Time in Hua Hin! Let's spend some quality time in Hua Hin! Let's enjoy beach activities, visit several iconic places, and the most important thing...have some delightful local seafood! Please, join me! Let's start by visiting the Wat Khao Takiap Temple! After that, we'll arrive at a beach-side restaurant to have some Thai seafood lunch! It's lunch time! You can ask me for recommendations on what to eat! Continue our afternoon trip to Wat Huay Mongkol Temple! You can pay respect to one of the biggest monk sculptures in Thailand right here in this temple! Time to head back to our meeting point, and that is when the trip ends! Thank you for joining me on my trip, and I hope you had a great time! ​Khao Takiab Temple (or Wat Khao Takiab) is located on Takiab hill. It is a unique temple, which has the most beautiful architecture in Huahin. 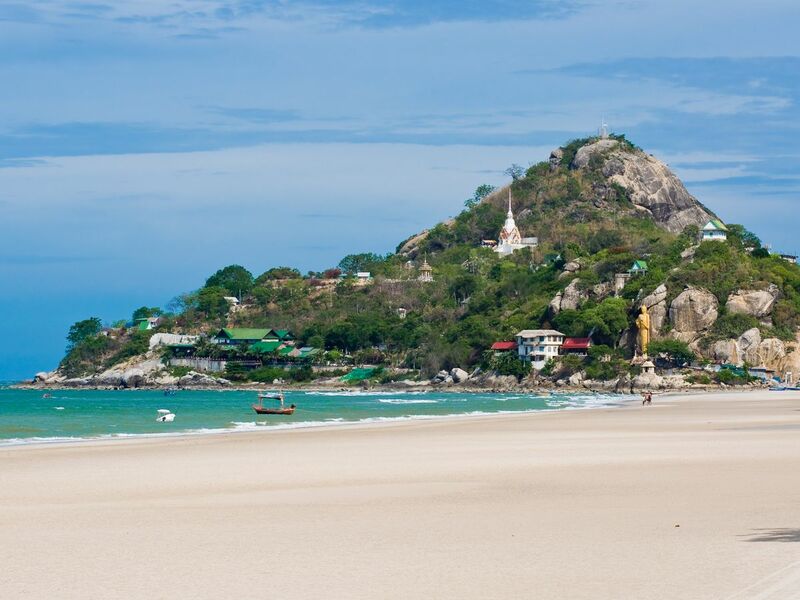 From the hill, you will be able to see a spectacular panoramic view of Hua Hin. If you love to enjoy a good seafood and would like to explore the most historical temple in Huahin. Yes I'm a local so I know where to go and have nice food.